"Tone is everything and Bartolini has plenty of it!!! My only choice when it comes pickups and electronics." Charles "Chip" DuBose III is a renowned musician in the Mid-West area. Growing up in the church on the South Side of Chicago, Chip discovered his love for music and musicianship at an early age. His father noticed his interest and gave him his first musical venture as the church bassist for Salem Baptist Children/ Youth Church of Chicago. This early indoctrination gave Chip a particular insight into arrangement and techniques that followed him throughout his career. At age 14, Chip fell in love with the soulful sound of the bass guitar. He took on the task of teaching himself how to play the instrument. His deep connection with the instrument led his dedication in perfecting his craft. Being blessed with the God given gift of a distinct ear for music is one thing, however, Chip knew to excel in the music industry he had to be versatile. He learned how to read music and studied the greatest bass players of all time. Chip began to play for local artists, various nightclubs, and poetry sessions. He was a music major at Chicago Vocational High School (CVS) & Jackson State University. He continued to remain cultivated in the field of music, taking on every opportunity to enhance his flair. ​Chip DuBois III is the founder and CEO of Hitjam Productions II. Hitjam Productions II is a family based company, representing the most talented and professional musicians, vocalist, rappers, sound engineers and programmers in the music industry. ​ Chip has worked as a musical director, bassist, and drummer with El DeBarge, Buddy Guy, David Banner, TI, Chingy, The Joe Moss Band, Carl Weathersby, Rob Bland Band, Robert Cornelius 7, Chip Ratliff Band, Jabon, The Friends Band, The DuBois Project, The Floyd Taylor Show Band, Omar Coleman, William Smith Jr. & The Renewed Voices For Christ, and Black Rheaction. Currently, Chip is touring with Sweet Diezel Jenkins, The Voices and The Friends Band. He also does freelance bass playing for a range of artists and projects. 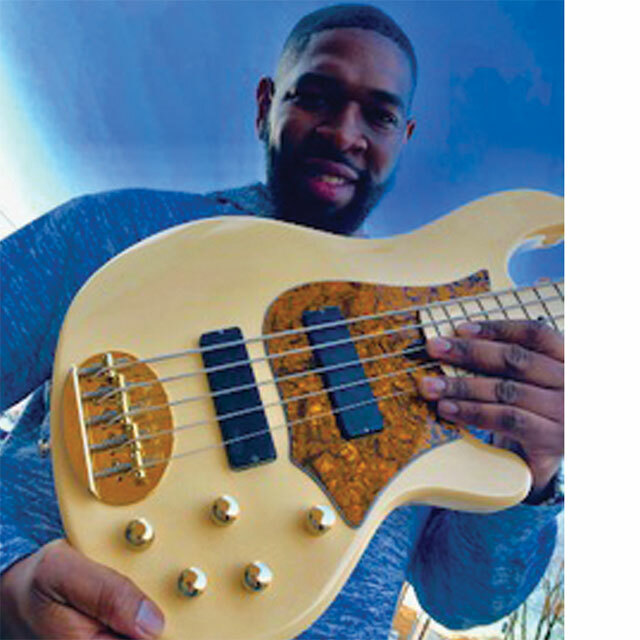 He teaches private and Skype bass lessons, runs several companies, and serves as the sub bassist for the Mars Hill Baptist Church of Chicago and Victory Cathedral Worship Center.